Salsas are so fun and easy to make and you can really go in any direction flavor-wise to suit your meal, mood, or season! For this one, I was inspired by the amazing photos on Half Baked Harvest’s blog and Instagram feed. Check her out for amazing recipes and photography! Anyway, back to the salsa. Pomegranates speak Fall, as do apples. Mangos, maybe not so much, but I always love a good mango salsa. So, I added it anyway. This salsa is super fresh and can brighten up any seafood dish, especially shrimp or fish tacos! 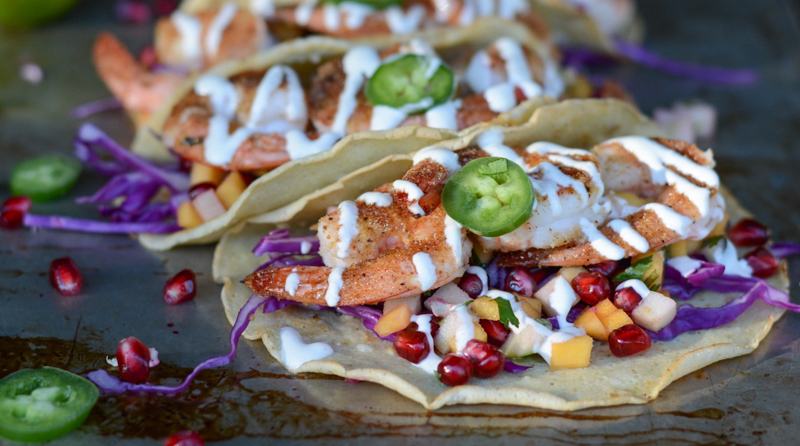 See my recipe for Paleo Shrimp Tacos, where I added this salsa! In medium size bow, add all ingredients and stir well. 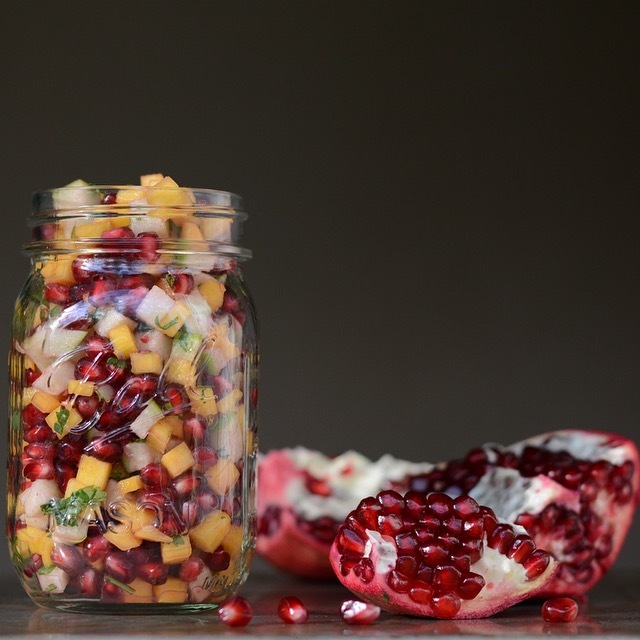 Refrigerate at least 30 minutes to allow flavors to mingle!